The old mill yard of the ‘Molen de Ster’ sawmill forms a unique industrial heritage site, largely dating back to the eighteenth century. After several renovations, the site is currently used in a versatile manner – reflecting both its historical roots and the lively neighbourhood of Lombok, in which it is situated in Utrecht. 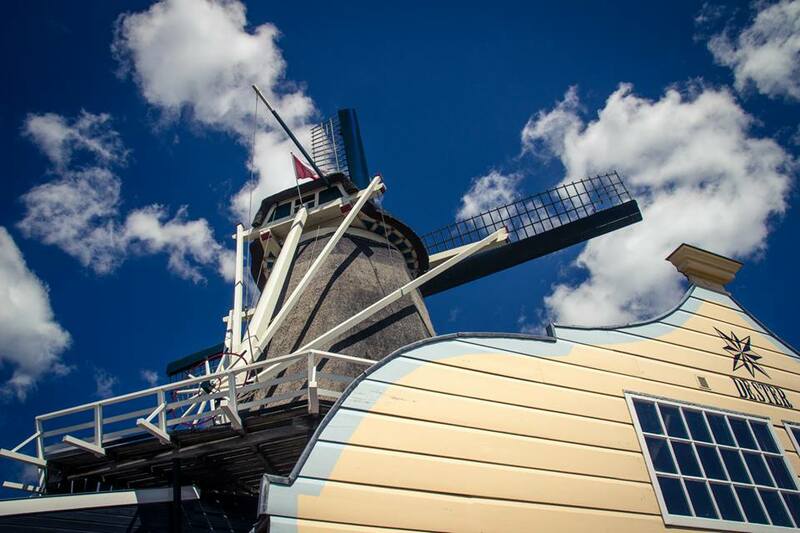 Molen de Ster is only an 8 minute walk from Utrecht Central Station (Jaarbeursplein exit) and close to Utrecht’s medieval city centre. Our café is open from Wednesdays till Sundays, on Saturdays we are open for free guided tours, and we regularly organise or host events in our saw barn or on the mill yard. Have a look at our diary to see when our next events are taking place. Furthermore, the mill can be hired for private or business-related occasions. 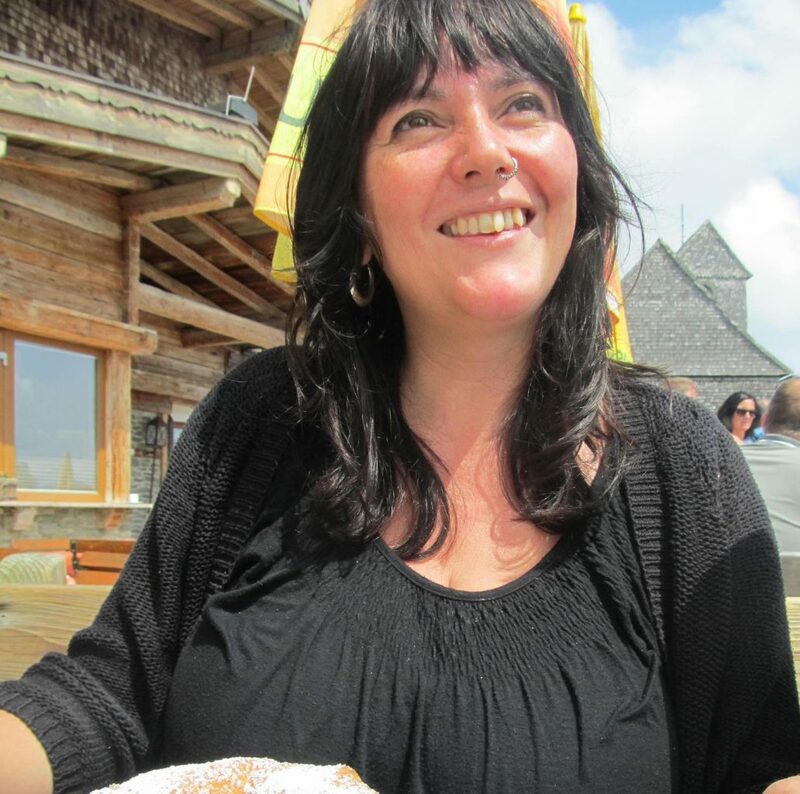 Contact Mikkie regarding booking enquiries and hiring Molen de Ster for private or business-related events. Contact Inaria regarding the café and hiring Molen de Ster for private or business-related events. 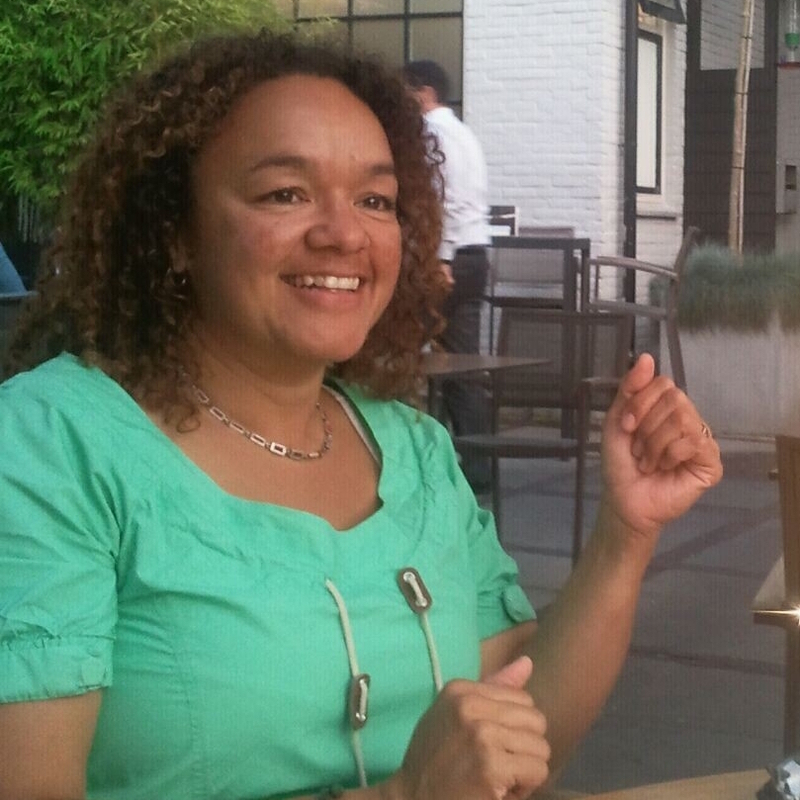 Contact Marloes regarding concerts, cultural events, or if you want to perform at Molen de Ster. In the former drying sheds, two studios house modern woodcrafters, working their trade. At Molenpark 10, Lucas lovingly builds and restores guitars, mandolins and banjos. Musician and artist Karim creates delightful wooden objects out of sustainably sourced wood – mostly plates and birds. His neighbour Jaaro regularly receives students, who follow workshops in wood-carving and create wood sculptures of all sizes and shapes. Three families call the yard their home and reside in the houses on it. Every day, they open up and close the yard (with a gate and a drawbridge), keep it in good order and care for the pigs, sheep goats and chickens. In the former drying shed along the canal, a small playground with a slide, sandpit and spring rocker offer a play paradise for the youngest visitors. The open terrain in the middle with its old gauge forms a perfect play area and picnic spot, dominated by the centrepiece of the yard: the ever-bustling ‘Molen de Ster’ sawmill. 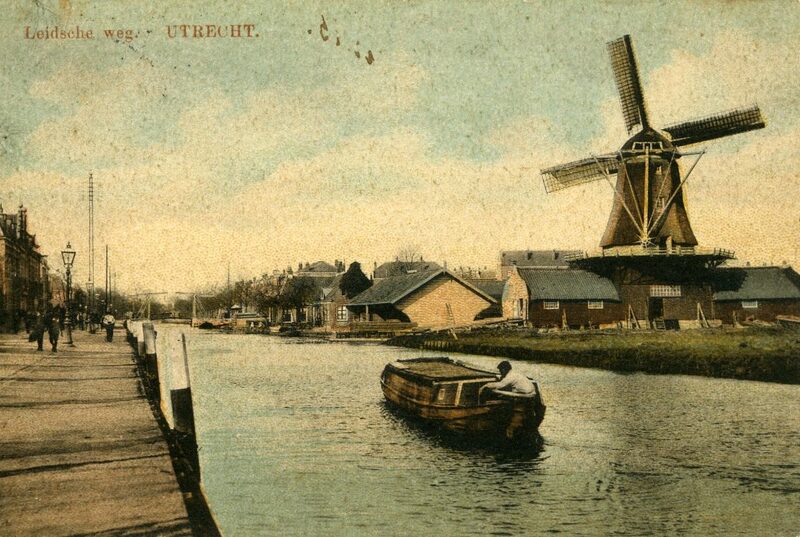 Molen de Ster used to be one of two wood saw mills at the Leidsche Vaart, outside of the Catherijne gate of the city Utrecht. The first wood saw mill was built in 1721 and named ‘Sint Job’. It got burnt down in 1815 and was later on rebuilt as wood saw mill ‘De Bijgeval’. Because of industrial progress, it was finally put out of use and destroyed in 1909. The second wood saw mill ‘De Ster’, dates back to 1739 and was commissioned by Van der Starren, who named the mill. Four generations of this family were sawing with the mill for nearly a century. In 1876, it was sold to Willem Jan de Wit, who bought ‘De Bijgeval’ a few years later. 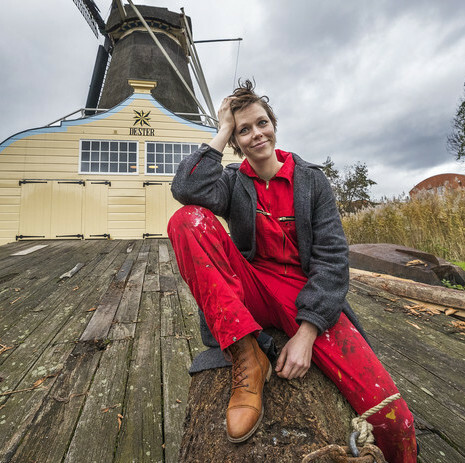 They came from a different province and saw good opportunities for timber trade in Utrecht. In 1911 wind power is replaced by electricity. The windmill itself, which was positioned on top of the saw barn, was no longer used so demolished. The company De Wit was still trading timber in the early eighties and was located on the same address in Utrecht for over a century. On 28 June 1988, the foundation Sterremolen is established with the aim to rebuilt the windmill. 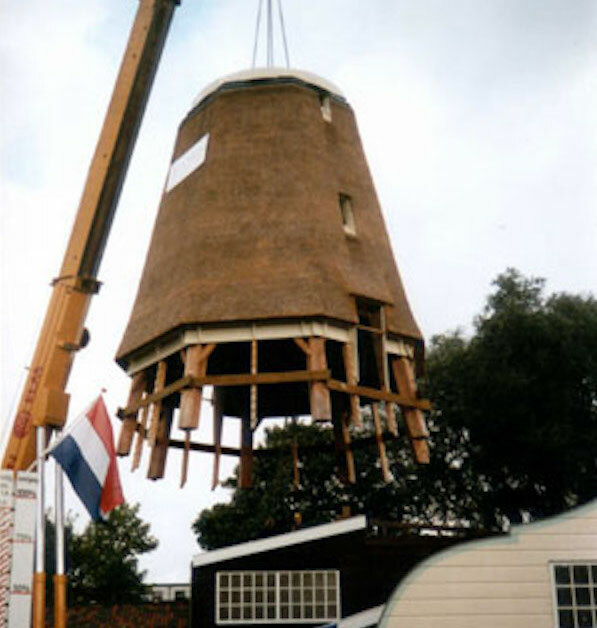 After a decade-long search for finances, the mill hull is placed on top of the saw barn in September 1998. The official opening of the complete woodsaw mill as we know it today takes place on 22 June 1999. Foundation de Sterremolen looks after the preservation of the historic heritage site and wood saw mill de Ster. 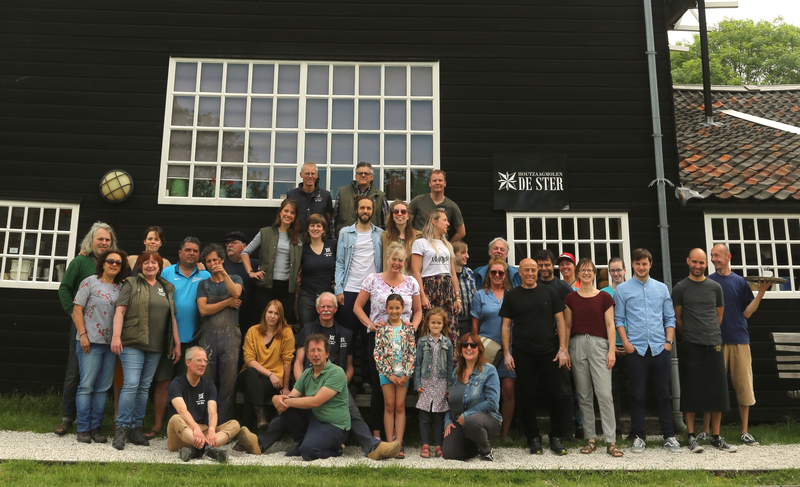 If you would like to support us in our mission, you can make a financial contribution to Stichting de Sterremolen, see the account details below. Our café is open from Wednesday till Sunday, on Saturdays we are open for free guided tours, and we regularly organise or host events in our saw barn or on the mill yard. Have a look at our diary to see when our next events are taking place. Furthermore, the mill can be hired for private or business-related occasions.